Autonomous underwater vehicles (AUVs), are highly adaptable robots that are capable of running missions without the need of a ship or person, and therefore are essential to allowing oceanographers and marine scientists to study and explore the depths of the ocean safely and efficiently. At Woods Hole Oceanographic Institution (WHOI), Amy Kukulya, Research Engineer and Principal Investigator, is a recognized authority in the development and operations of a special breed of these torpedo-shaped robotic vehicles called Remote Environmental Monitoring UnitS, or REMUS, invented at the Oceanographic Systems Lab at WHOI. 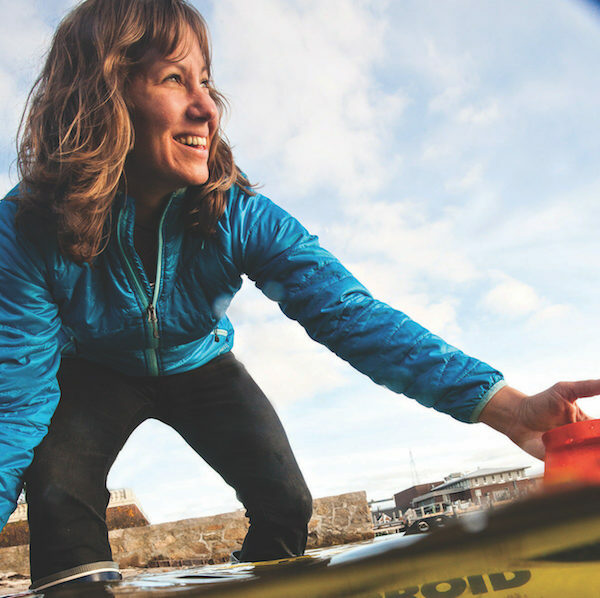 Working with underwater robots has brought Amy to various regions of the globe, including as far away as the Arctic and Antarctica, to advance the scientific applications of AUVs. For example, Woods Hole’s application of its REMUS SharkCam autonomous vehicle during a return trip to Guadalupe Island in 2015 (and featured on the Discovery Channel’s Shark Week) yielded dramatic footage and insight into the behavior of Great White sharks “and how they interact with their environment in three-dimensional space,” said Amy. Amy developed a spin-off of SharkCam, known as TurtleCam which is the world’s only AUV capable of following and filming endangered sea turtles in order to unravel the mysterious of their behavior in the open ocean. She is currently serving as the technical lead and Project Manager for an under-ice oil detection and mapping project with U.S. Department of Homeland Security using a special Long-Range AUV. In addition, she is well known for her passion about promoting education/outreach initiatives, and has been named a Wowster Mentor and Outreach Professional appointed by the Massachusetts Governor’s Office. Amy earned her B.S. in Environmental Policy from Rutgers University.